Zombies, Tranzit, Bots, and more - detailed in plain English. Call of Duty: Black Ops 2 ushers in the return of the cooperative Zombies mode. This time they are on a bus. Well, you are on a bus, the zombies are trying to get a free ride. We've compiled a handy FAQ as a compendium to our database entry. This is everything you need to know about Call of Duty: Black Ops 2's cooperative experience spelled out in plain English. Does Call of Duty: Black Ops 2 feature a co-op campaign? How many players can play Call of Duty: Black Ops 2 locally (couch co-op)? How many players can play Call of Duty: Black Ops 2 via system link or LAN for Co-Op? How many players can play Call of Duty: Black Ops 2 in online co-op? Is a Gold Membership required for additional players in combo co-op on the 360? What are the split-screen layouts for couch co-op? Can I drop in or out of a game in progress game? Do enemies scale based on the number of players? What is the goal of Survival? What is the goal of Tranzit? Are there any hidden goals in the Zombies mode? Do I earn XP towards multiplayer in Zombies? How many maps are there in Zombies? What does Call of Duty: Black Ops 2's season pass get you? What happened to Combat Training? Can I play the competitive multiplayer in co-op against bots? Do I earn XP or Unlocks towards the online multiplayer in bot play? There is no campaign co-op in Black Ops 2. The game features two modes of Zombies and multiplayer versus bots. Four players can play split screen co-op on one system. 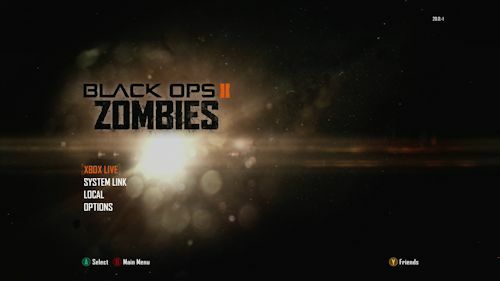 How many players can play Call of Duty: Black Ops 2 via system link or LAN? Four players can play via LAN or system link including combo co-op with various number of local players per system. How many players can play Call of Duty: Black Ops 2 online? Four players can play online together in the Zombies modes of Tranzit and Survival. Yes. An online game can only be played if all players have a Gold account. Otherwise you are restricted to local co-op play. Can I drop in or out of a game in progress? You can drop out of a game in progress, but you can't drop into one currently in progress. What are the network options of Call of Duty: Black Ops 2? There seems to be some scaling on zombie count based on the number of players. 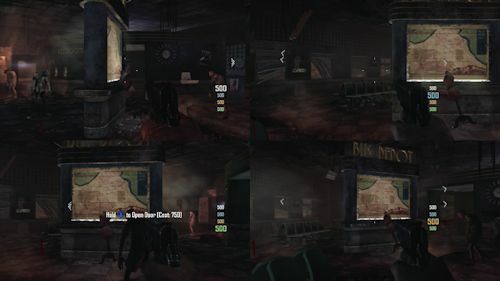 Survival maps take place on smaller subsections of the Tranzit game mode. You are tasked with defending an area and surviving as many waves of zombies as possible. As you kill zombies and rebuild structures you will be given money to buy weapons, unlock new areas, and purchase perks. Like survival, except a bit faster paced. A bus takes you between infested areas and the zombies are capable of attacking the bus. 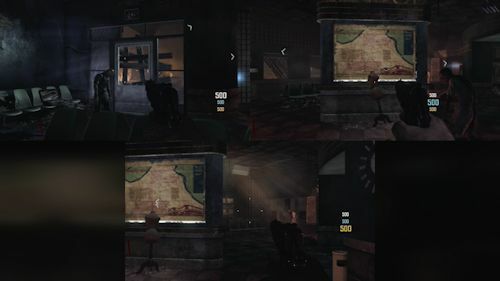 Teddy bears return again to give you bonus points and there are said to be several Easter Eggs surrounding the various characters in each of the maps. No, Zombies is completely separate mode of play. A certain gametype in Zombies, called Grief, does offer a 4 vs 4 experience in which you have separate unlocks. But these are not used in the game's other multiplayer modes. 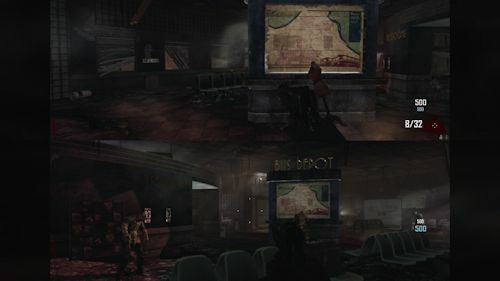 There is one Tranzit map (which encompasses the other maps), three Survival maps (Bus Depot, Town, Farm), and two Grief maps (Town, Farm). The Call of Duty: Black Ops 2 season pass costs $49.99 and will allow you to download of four "epic map packs." over the course of a year. More details can be found here. It also includes the Nuketown 2025 map for Zombies. Combat Training is there in essence, but the name itself has been removed. If you choose an offline, system link, or Custom Game you can add bots of varying difficulty to your match to fill out the roster. You can play on any of the game's 12 maps. Do I earn XP or Unlocks towards the online ranked multiplayer in bot play? Page created in 0.3536 seconds.